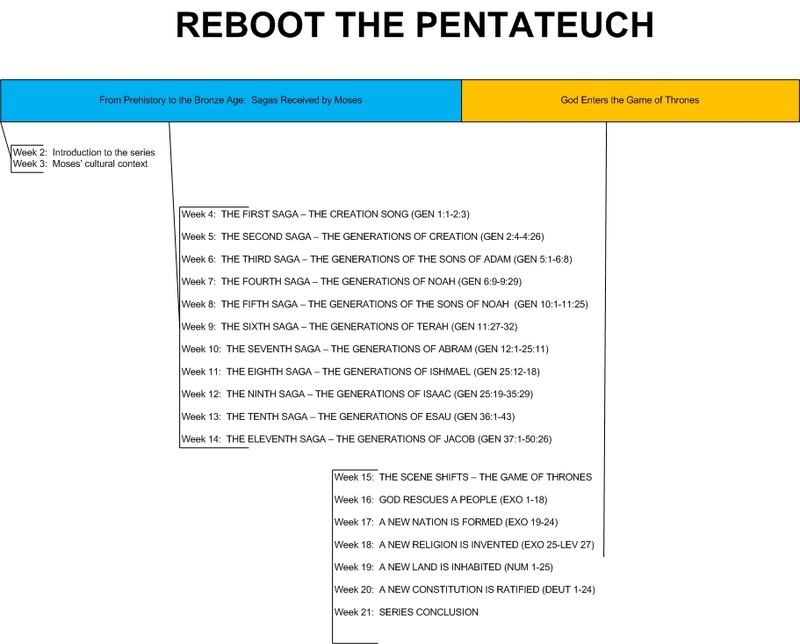 This is Part 1 of 20 in a series about the Pentateuch, the first five books of the Bible. In it we will explore the context of the book, specifically its relationship to the Egyptian culture of its day. At some point in your life, you received your first Bible--maybe as a baptism gift, or inherited from your parents, or given to you by a ministry. That Bible comes to you as a completed work, telling the story of God’s interaction with Israel throughout history and culminating in the Messiah, Jesus. Since you received your Bible as a completed work, you now read the Bible from your current cultural perspective as a modern, American, Christian. Being a modern, you want to read the Bible as a journalism document, recording every minutiae of every story in an objectivist way as though it were a newspaper account. Being an American, you want to read the Bible in light of our American values and political situations. Therefore you expect to see in the Bible a desire for individual liberty and personal success, and you read it as a self-help guide to apply to your daily routines. Being a Christian, you want to read the entire Bible as it relates to Christology, and try to search for hidden meanings which will make an obscure Jewish genealogy from the Stone Age relevant to a modern American Christian. Each of these can be a significant error, for in so doing we are not asking ourselves what the inspired author’s and the original readers’ contexts were, but rather are only concerned with our context. When we bring such a view into an ancient document, misunderstanding is not only a potential problem, but virtually a guarantee. If I am going to accomplish the goal Rebooting Christianity with this blog, we must begin by understanding the Bible as it was written. Why was a text written? Who was the primary audience? What was the context of the inspired author? I have written before about Kohler’s Jewish Theology, and how Biblical inspiration actually was seen to work by the Jews. God inspired all of the Scriptures, but it was left up to the author to take that spiritual inspiration and use his words, his worldview, his language, and his context to write it down. Failure to understand this is exceptionally dangerous, for it results in us essentially re-writing the Scriptures to fit our current cultural viewpoints. Thus I consider it absolutely critical that we all understand the context within which a Scripture was written. 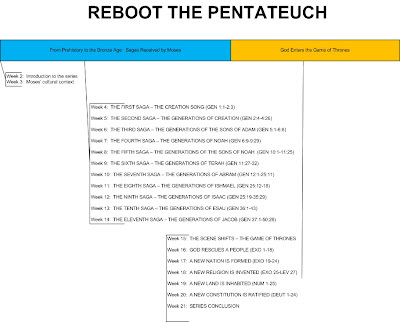 And there is nowhere better to start this process than the very beginning of the Bible, the Pentateuch. Over the next twenty weeks, we will go through the Pentateuch together, every Monday. We will assume, as traditional scholars have long assumed, that it was written by Moses around the late Bronze Age (approx. 1450 BC). I see no reason to dispute this traditional view, since the arguments both inside and outside the text are strong. What amazes me, however, is how few Christians (or Jews!) study this text from Moses’ perspective. When I was a young believer, I took a class at the University of Arkansas about the History of the Ancient Near East. During a term paper about Judaism, it struck me how much the plagues of Exodus seemed to be a directed attack on the Egyptian pantheon of gods, designed specifically to demonstrate the impotence of the Egyptian deities. In my research for that paper, I could find very few sources indeed who read the Exodus account from the perspective Moses would have had, having been raised in an Egyptian worldview. The more I have considered this, the more I have seen the evidence that the Pentateuch can only be properly understood if we read it with Moses’ (and his readers') eyes. So in this series, we will read the Pentateuch as Moses intended it to be read: as a book written to a people who have been living in Egypt as slaves for longer than modern America has even been a country. The Egyptians are not just characters in a few chapters of Exodus—-they are the cultural background of everything from Genesis to Deuteronomy. As you see in the image to the right, next week we will introduce everyone to the perspective Moses would have had. Then we will begin reading the Pentateuch as Moses himself would have viewed it: a largely anti-Egyptian document. To begin our study, you must understand that we should not approach the Pentateuch as five separate books; this was done later, simply because it took five scrolls to record it. Rightly viewed, the Pentateuch has two large sections: everything that Moses received, and everything that Moses witnessed. What is most interesting, however, is that Moses not only received this text, but the way in which he presents it clearly is influenced by his Egyptian mindset and cultural context. Only by reading Genesis with Exodus in mind can we truly understand it, for it is after the Exodus that Moses sets down the Genesis account to pen and paper. Having completed the received sagas, Moses then records the events of which he has first-hand knowledge. I will call this section, “God Enters the Game of Thrones.” Up until this point in history, God has had virtually nothing to do with politics or nation-building. The Egyptians have risen to be a mighty power, and have been in power for some 1600 years by the time Moses comes along. At that moment, for reasons only God knows, He decided to create His own kingdom. He chose the lowliest slaves in Egypt to become His chosen people. He led them to freedom in a miraculous way. He then forms a new kingdom, and invents a religion for them to follow. He gives them land and a constitution. It is these acts that Moses records in the second part of the Pentateuch: Exodus through Deuteronomy. These are the things he witnessed first-hand. Understanding his perspective as a Hebrew, Egyptian-educated leader are critical to understanding what happens in these texts, and how to appropriately read them. So please join me for the coming twenty weeks as we discover the Pentateuch as it was meant to be written: as a two-part work heavily influenced by the Egyptian culture of the day.